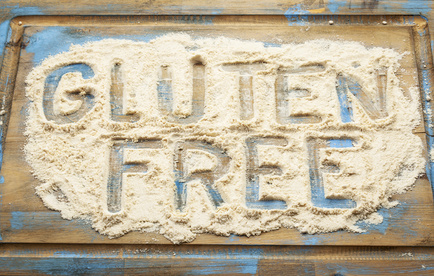 Celiac disease is an autoimmune reaction to gluten, a protein found in wheat, barley, and rye. Two of the more common symptoms of celiac disease and gluten intolerance are bloating and constipation. Gluten sensitivity or intolerance is one of the most serious causes of constipation. Before we discuss any solutions, lets take a look at how celiac disease can cause constipation. When a person has celiac disease, their body creates antibodies whenever the person eats food containing gluten. These antibodies damage intestinal villi. This decreases the surface area of the small intestine, and thereby the body’s ability to absorb nutrients from food. This results in food traveling through the gut in a less thoroughly digested form. As this under-digested mush enters the lower end of the small intestine, the body cannot fully process it. In an effort to absorb more nutrients, the transit speed of the stool through the colon is slowed down. As stool stays longer in the colon, the dryer and dryer it becomes. This is because one of the colon’s jobs is to take the mush entering it, pull water out, and form it into more of a solid stool. But when stool stays in the colon too long, it causes stool to become dry, hard, and difficult to pass. Fiber is important for properly formed stools. The fiber that people on a standard diet get through consuming whole wheat products is not available, and whole wheat bread or pasta is often replaced with gluten-free substitutes that contain little to no fiber. These days, many products that contain gluten are fortified with fiber, but few gluten-free products are. Even brown rice, a popular gluten-free whole grain, doesn't contain that much fiber. As the antibodies created to counter gluten attack the villi, over time these villi wear down. Eventually they can even be totally destroyed. As the villa are reduced in size, food is not digested as well as it passes through the intestines. This means that less nutrition is absorbed from the food. This creates a problem farther along in the intestines. Our intestines are designed so that as food progresses through, those areas farther along in the intestines are ready for food that has already been partially digested. These latter sections of the small intestines don’t know how to handle such under-digested foods. When they try to absorb the nutrients, they just aren't equipped to do so. They either allow the food to go through without digesting it more, or they try to absorb what little they can. Unfortunately, often the only thing they are able to absorb is the moisture. This produces stools that are firm and dark, celiac disease constipation. Constipation isn't only about not having as many bowel movements, abdominal pain, or symptoms like constipation and bloating. Constipation symptoms indicate that the body isn't able to get rid of toxins and digest nutrients. Celiac disease constipation is somewhat similar to the backups caused by a traffic jam. Celiac disease constipation means a slower transit time, which leads to backups of stool. When stool backs up in the colon, it can cause a back up in the small intestine. This can result in a delay in the emptying of the stomach. This also explains why some individuals who have celiac disease constipation also have heartburn and acid reflux along with their constipation. A backed up digestive system can then result in numerous other allergy symptoms associated with gluten intolerance. This delay in the gastric system minimizes how many nutrients are absorbed at each point of the digestive system. Toxins that are normally eliminated are forced to stay in the digestive system for an extended period of time. When the body reabsorbs some of these toxins, it places an additional burden the immune system, which is then called upon to help eliminate them. As you might expect, it is important to change one's diet and get rid of all gluten, including spelt, barley, wheat and rye. Some foods that includes these grains in the ingredient list should be avoided as well. 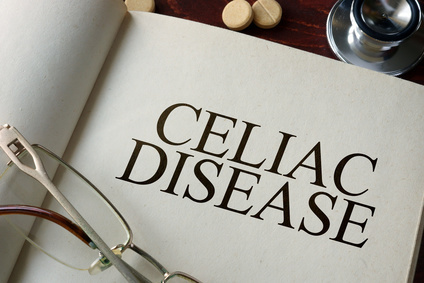 A person with Celiac disease will need to eat a gluten free diet for the rest of their lives to avoid furthering the disease. Any damage done to villi before the disease is diagnosed can cause ongoing celiac disease symptoms. This is why early detection is so important. This is one of my favorite approaches to treating constipation, whether the constipation is caused by celiac disease or not. When you first get up in the morning, drink a large glass of warm water or a glass of juice containing somewhere between 200 mg. to 400 mg. of magnesium in supplement form. The magnesium serves as an osmotic laxative that draws water into the colon, which helps to keep feces from drying out during an extended stay in the colon. Since most Americans don’t get enough magnesium, taking supplement magnesium each day can result in numerous health benefits. Constipation from celiac disease can be tough, and requires a lot of self-discipline. However, if a person does the above measures daily for a couple of weeks, and they integrate foods that help to relieve constipation into their diet, they will hopefully begin experiencing a some real improvement in having easily eliminated bowel movements. Before long, you will hopefully find yourself overcoming celiac disease constipation, with better absorption of nutrients and softer, easier to pass stools.